The EU Dog & Cat Alliance is following EU activities which are relevant to the health and welfare of dogs and cats. In 2014, the European Commission funded a study on the welfare of dogs and cats involved in commercial practices. The results were published in March 2016. The purpose of the study is to collect and analyse information on breeding, keeping and trade of dogs and cats in EU Member States, as well as import and export to third countries. The study aims to determine the extent to which the EU should take initiatives to protect the welfare of dogs and cats involved in commercial practices. The study can be found here, and more information on the background of the study here. You can find our position paper on the study with recommendations here. You can find out more about the national legislation on dog and cat breeding and trade in different EU Member States, and why the EU Dog & Cat Alliance is calling for EU action here. You can find out more about our position on dog and cat breeding and trade here. In May 2013, the European Commission adopted a proposal for a single EU animal health law. This is intended to streamline the current large number of legal acts relating to animal health into a single law, including the current EU legislation on pet movement. In April 2014, the European Parliament voted on amendments to the Commission proposal. After trilogues with Council and the Commission, Parliament approved the agreed text in March 2016, completing the legislative procedure. The European Commission has announced that it has begun preparatory work for a delegated act under the Animal Health Law on compulsory identification and registration systems of pet animals across Member States. 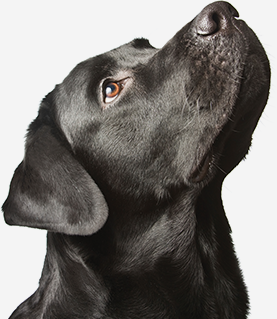 To find out more about our position on the Animal Health Law, contact us. In September 2014 the European Commission adopted a pair of proposals on veterinary medicinal products and medicated feed. The proposal on veterinary medicinal products aims in particular to make more medicines available in the EU to treat and prevent diseases in animals.The proposal on the modernisation of medicated feed legislation now includes feed for pets in its scope. The European Parliament and Council of the EU must now consider these proposals and adopt their positions. The proposal for a Regulation on veterinary medicinal products can be found here. The proposal for a Regulation on the manufacture, placing on the market and use of medicated feed can be found here. You can find out more about our position here.